Don't give up on the ol' girl! 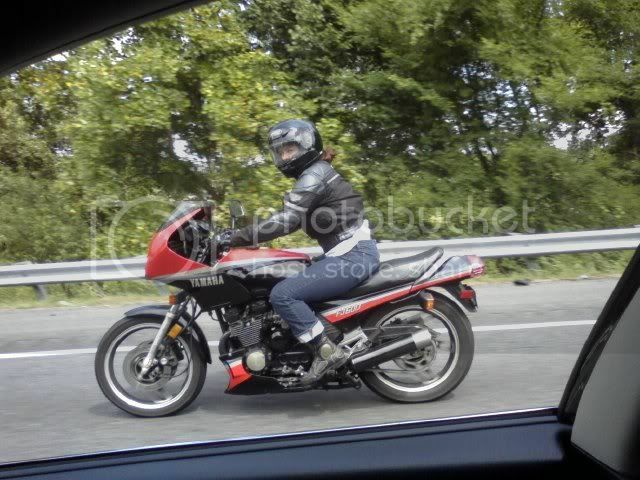 Here's some inspiration for you....This is my girlfriend's '85 FJ600. 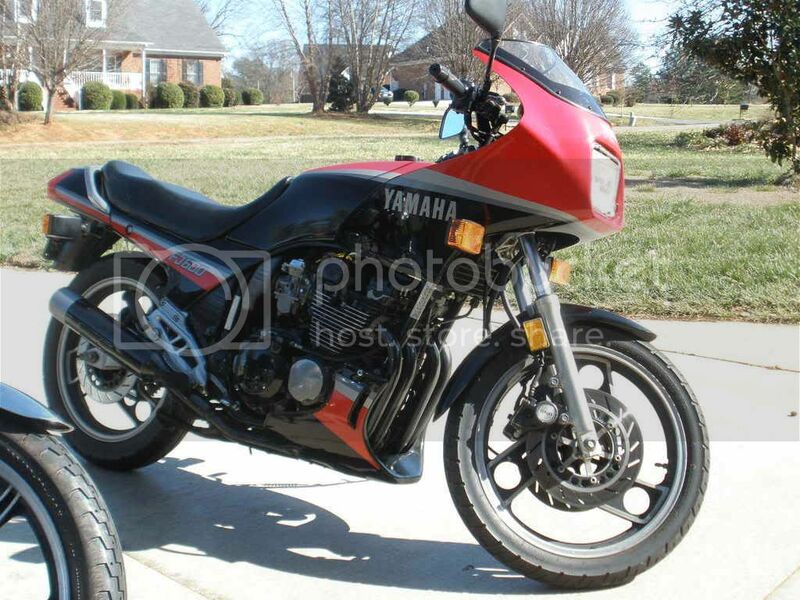 Purchased from the original owner about 5 years ago with a stack full of service records, receipts, owners manual, tool kit...even a set of genuine Yamaha saddle bags that are color matched! Amazing bike and fast as hell. It was the world's fastest 600cc production bike in 1985. Check out xjbikes.com . Good forums for these bikes (the FJ was an XJ in Europe and the engine is basically the same as many of the other XJ models). Also, you mentioned something about the bars.... Did you know you can swap in a Radian top triple tree? It has risers and you can run almost any handlebar, then. Pet Peeve: fittings. There's is an underwhelming selection of available metric fittings in this town (Richmond VA). I have a "kit" on the way to me from Amazon that gives me an assortment that may or may not be useful. 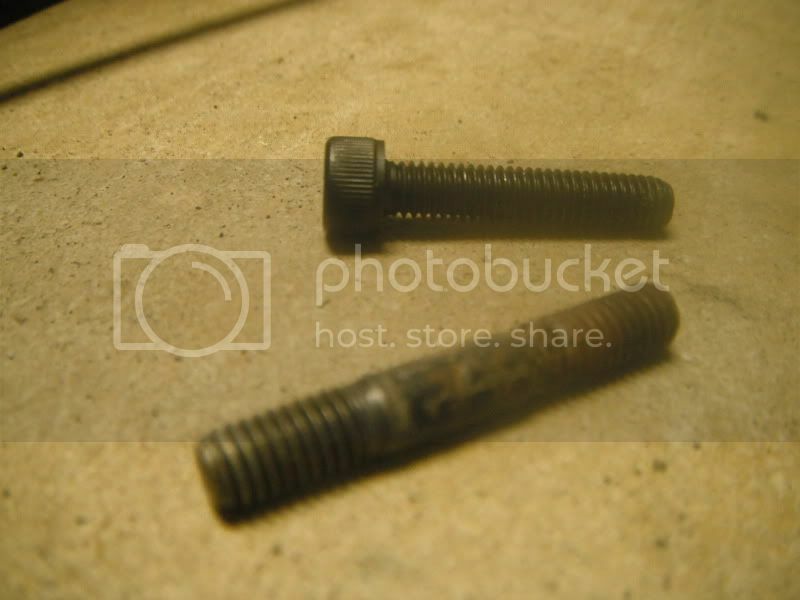 What's shown is an exhaust stud (Yamaha part number 90116-06466-00) that goes for $1.81 a piece. Above is a hex-head metric machine screw that I believe would work for securing the exhaust header that I got from Lowe's for $2.07 a pair ($1.035 each). 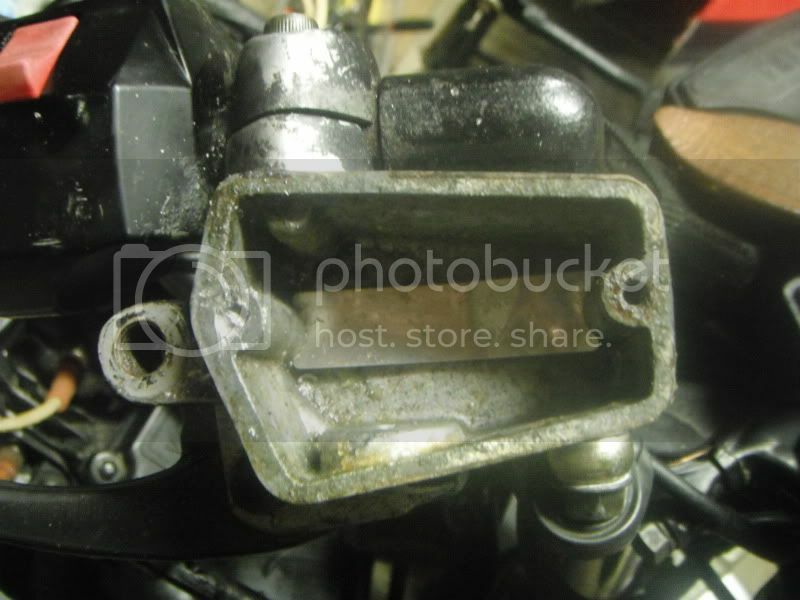 By using this I would also eliminate the nut (Yamaha part number 90179-06500-00) at $2.02 each. Now, I've cleaned up the fittinngs I have, but after 27 years on the job (accompanying rust), I think they deserve a retirement. What I want to know is this: how "special" are the fittings I'm retiring? Are they treated for such high-temp use such that everyday fittings would buckel and disintigrate, or have I fugured out the dirty little secret of nuts and bolts? 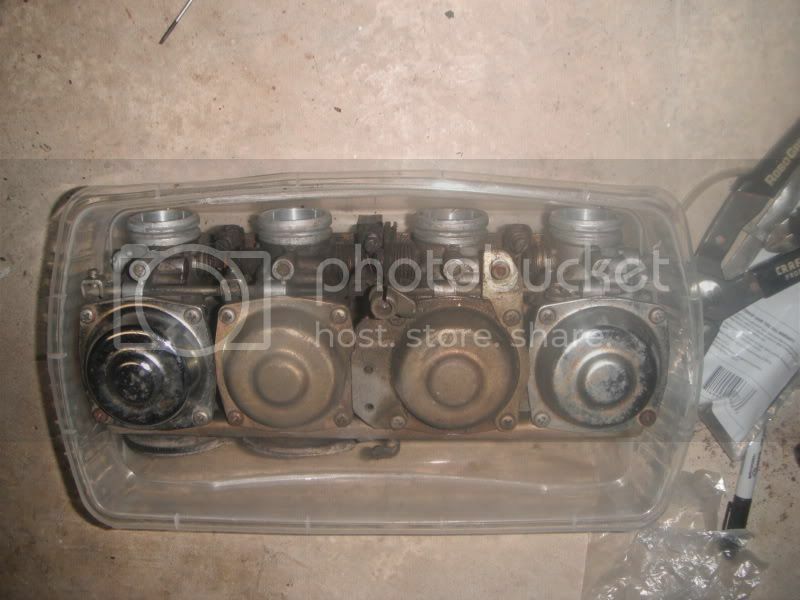 The old carbs from the FJ. Maybe this winter, if all goes well, I'll clean em up, slap them on ebay and see what happens. A little retrospect on how this project is proceeding. First, I finally received the title from PA. I had forgotten BITD that I titled it to my soon-to-be-x's-parent's house that eventually was forclosed on. I'm surprised I wasn't told to surrender the bike against back property liens! Second, I did a little more research on the exhaust stems, and at the end of the day, I don't want to compromise the design intent, especially since Yamaha made one side of the stems M7, and the other side M6. Nice... 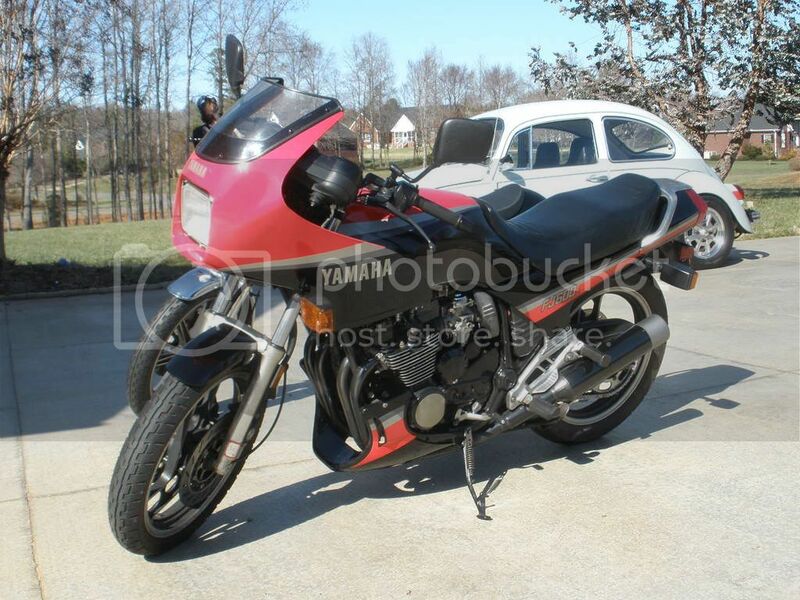 So, Bike Bandit got the OEM business along with an red anodized aluminum fuel filter, some clear red fuel line and, because insurance is a wonderful thing, KREEM for the tank. Another thing I bought along the way is a proper adjutible fork seal driver. The Scrapple II project has a pair of post-77 forks that were given to me, so I'll try to get to those first. This is something I HAVE to to learn how to do correctly if I'm going to eventally have 4 running bikes. I've got one of those brake units if you need it. It just doesn't have the hole to screw in a mirror. You may be able to morph them into one unit...Email me if u need it man. 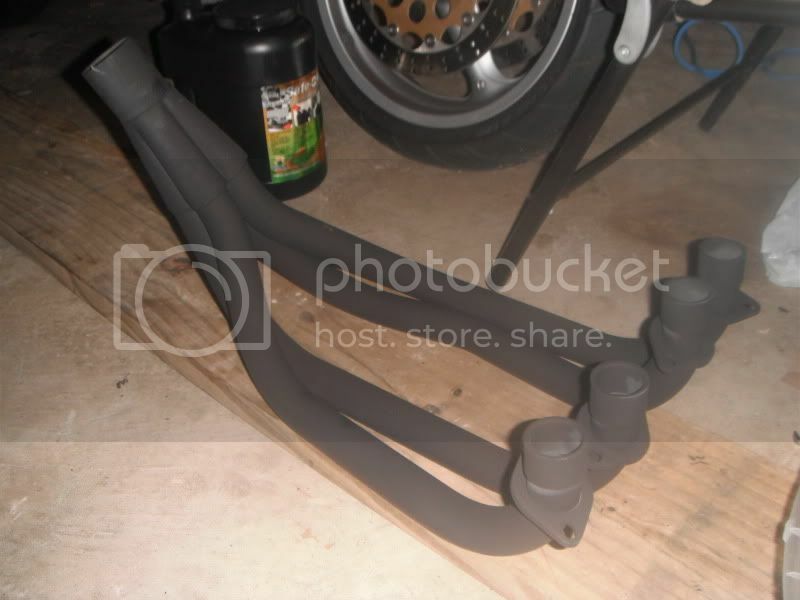 Gimmie the breeze on my knees..
2003 Ducati Monster M800S i.e. Check out my profile pic..Just added a filter myself but went with the clear blue line..It looks awesome under my white leds at night.. The Jig is coming together nicely. I have an ongoing bid for one on ebay, but I will definitely get back to you on that. Thanks! Hell, just pay me for the shipping and this one's yours.. Let me know if ebay falls through.